Tradeshow table throw professionally presents your company image. The unique custom table cloth allows people to comfortably sit behind it. 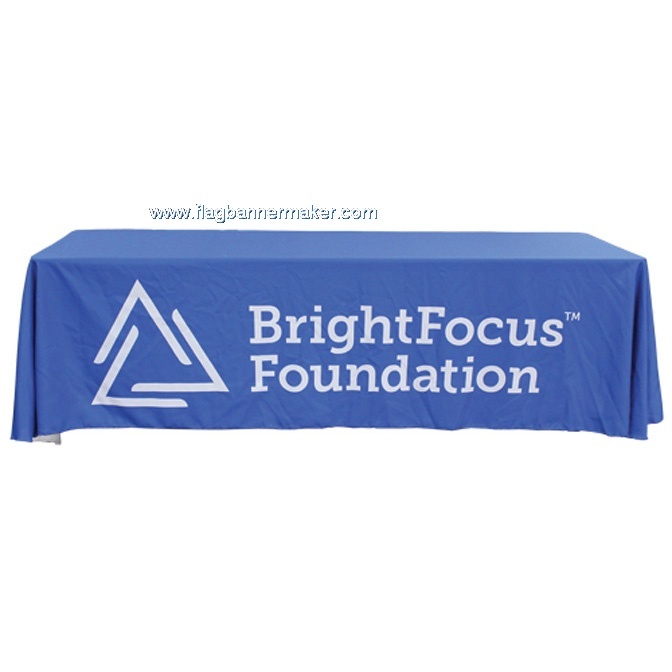 These quality polyester twill table throws are easy to care for, stain and wrinkle resistant, washable, flame retardant and easy to store and ship.